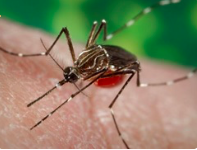 In this fascinating presentation, you will learn the science of how to best control mosquitos and ticks and keep them away from you and your family. This includes how to identify the ticks and mosquitos prevalent in this area, their life cycle, how they reproduce, and where they go in the winter. We will focus on more sustainable options for you and your yard. Simpson Park Demonstration Gardens, 420 E. Monroe St., Alexandria (by the YMCA). 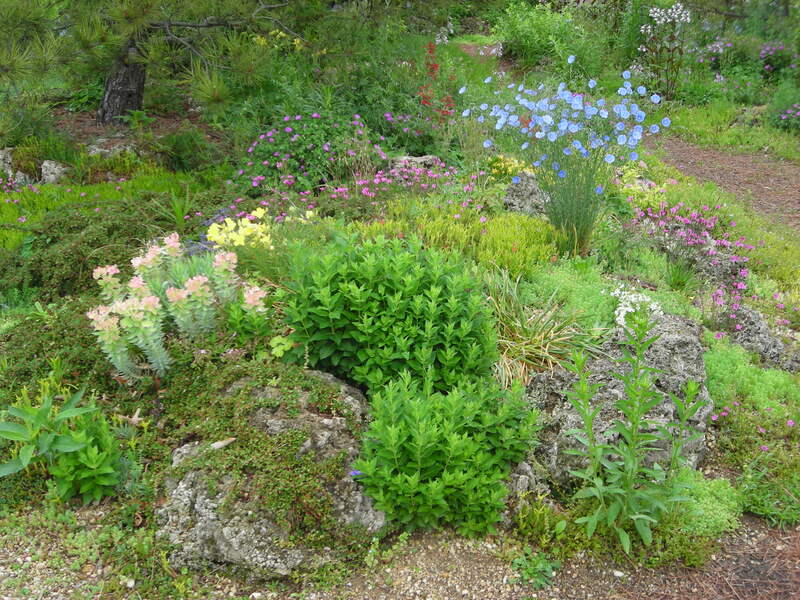 Large tufa bed: Raising some beds above grade level using tufa rocks permitted more plant varieties. Stop by and chat with the VCE Master Gardeners who maintain the Simpson Park Demonstration Gardens and see what is in bloom. Have all your gardening questions answered too! No registration necessary. Learn how to protect heat hating/heat loving plants during Virginia summers. 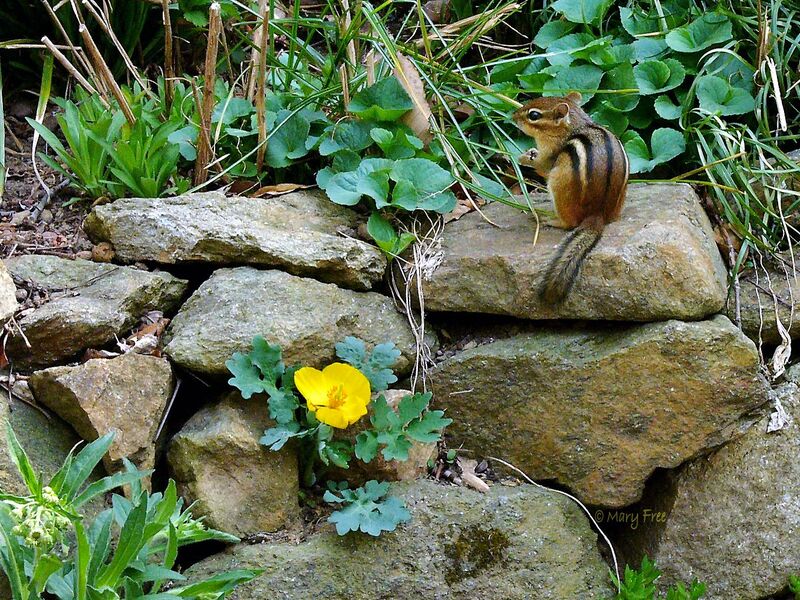 Looking for a way to make an environmental difference in your own yard, church grounds or condo complex by creating a sanctuary for wildlife using native plants and other resources? This friendly talk reviews the “whys and hows” of supporting local wildlife, and how you can obtain an Audubon at Home Wildlife Sanctuary Certification for your garden. Learn how to save money by saving seeds from your best crops this year. Compost is superior to fertilizers & mulches. Kitchen scraps are excellent sources of food for worms, who will turn garbage into rich soil. Learn the basics of composting & worm bins for nutrient-rich compost. The Arlington Central Library Plant Clinic is open from 6:45-8:45 pm. every Wednesday to October 25, 2017 and is located in the East Lobby of the library, 1015 N. Quincy Street. The Arlington Farmers’ Market Plant Clinic is open every Saturday morning from 8-11 am. through September, and is at N. 14th St. and N. Courthouse Rd. The Del Ray Farmers Market Plant Clinic, located at 203 E. Oxford Ave, Alexandria from 8:30-11am, runs through September. The Alexandria Farmers Market Plant Clinic, at 301 King Street, Alexandria, 7-9:30am, runs through September 30. Our Help Desk operates year-round and we welcome your garden-related questions, including those related to plant and insect identification. The Help Desk operates from 9 a.m. to noon weekdays at the VCE office, 3308 S. Stafford St., Arlington 22206. Contact us at 703-228-6414 or mgarlalex@gmail.com, or drop by to speak with our Help Desk volunteers. But it’s best to call before you come to make sure we’re available. This entry was posted in Event, Public Education Events. Bookmark the permalink.